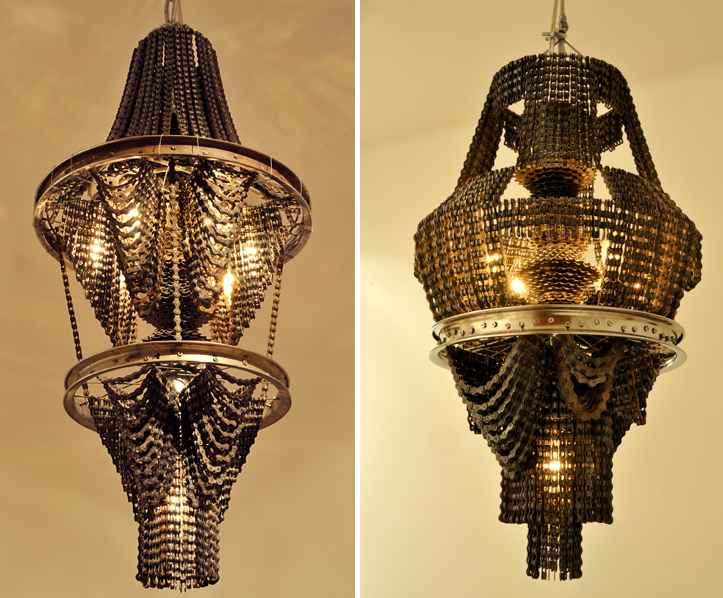 Designer creations - lamps from oldBicycle chains, stars and rims. 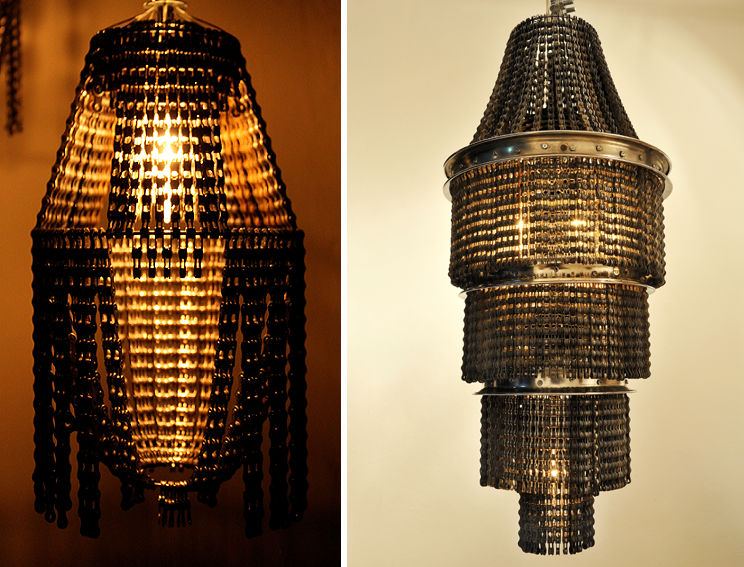 Brilliant reuse of the worn parts of your favorite bike! 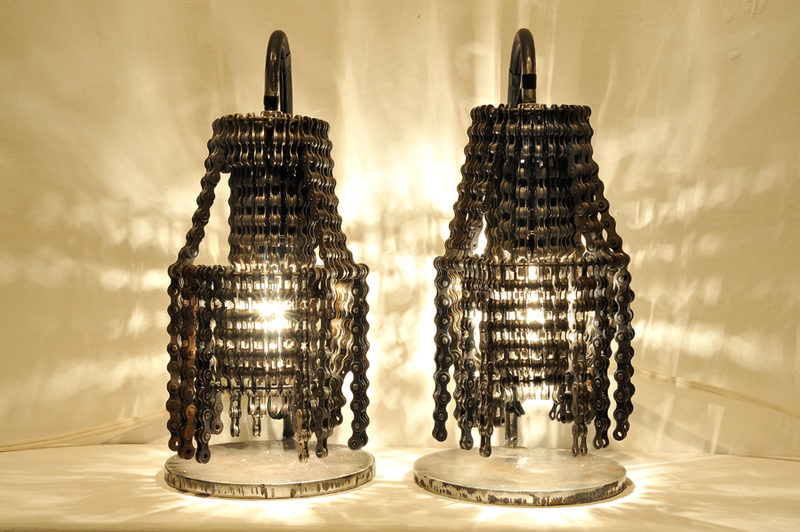 I see that among the decorators a lot of fans go for a ride on a two-wheeled friend, and then give a second life to old bicycle parts, for example, Julien Jaborska makes straps out of tires, and Carolina Fontoura Alzaga makes bicycle chains and makes original lamps and lamps! 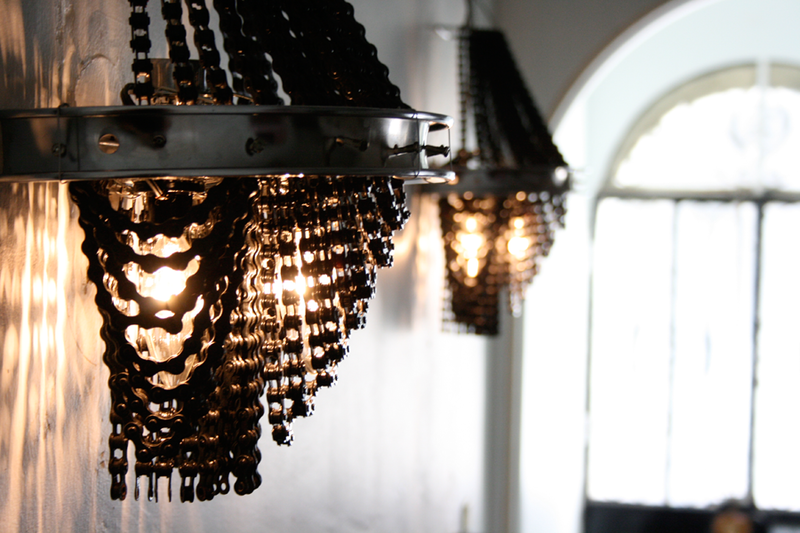 So think before you throw out the details of the bike, is it not better to create such a handmade craft yourself?